Working in a professional kitchen is different from almost any other job. It demands a specific skill set, the ability to masterfully handle stress, and impressive stamina. 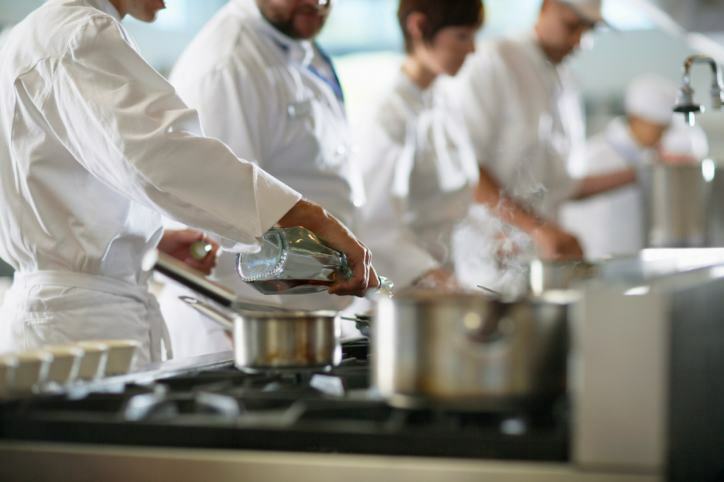 There’s a reason the saying goes, “If you can’t take the heat, stay out of the kitchen.” On top of being high stress, high pressure, and possibly at the mercy of guests with exacting and demanding standards, it also gets hot in commercial kitchens. Consider kitchen staff uniforms for your team, for these important reasons. People in occupational uniforms feel a sense of solidarity and professionalism that those who don’t do not experience. Uniforms will solidify your team, narrow their focus, and help them move as a unit. In a commercial kitchen, teamwork is paramount. If everyone in the kitchen does not work smoothly and effectively together, you will have a restaurant full of unhappy and angry diners and an incredibly stressed wait staff on your hands. The business is tough in that you could always be a few bad yelp reviews away from a real kitchen nightmare. Help foster a sense of teamwork from the bottom up with kitchen staff uniforms. Chef and kitchen staff uniforms not only build a sense of team identity and professionalism, but are practical for a number of reasons. They come in a wide range of colors and styles, and can even be emblazoned with your logo to advertise your restaurant. Kitchen staff uniforms are diverse and durable, built to withstand dinner rushes and potential spills in a way that your average shirt from Wal-Mart or Target is not. They are also made from material to help keep your staff cool under pressure in the hot kitchen. They will stand up to the physical and environmental hazards and demands of life in the kitchen.